“Innovation” was the flavor of the month a few years back. There was a big rush to create innovation departments and generally try to capture something thats very nature resisted capturing. So, at the end of the day, a lot of companies abandoned “innovation” and revisited “creativity” – which most companies have issues with, as well, but at least creativity can be acquired. The failure to innovate is not particularly surprising since innovation stems from absence – absence of resources – and most companies have too many resources – just not the kind of resources that promote innovation. At its best, innovation can lead to entire industries (or at least product lines.) My favorite innovation story is probably the story of Ruth Graves Wakefield, because it involves cookies (the chocolate chip) and B&Bs (The Toll House Inn) – two lovely items the world is a better place with. The story goes that Ms. Wakefield had no chocolate to mix into her cookie dough and innovated – she broke up a candy bar fully expecting it to melt – it did not – and the rest is history. A close cousin to innovation is something that probably has an eloquent name but what I call “off-label” use. It involves a product intended for one thing that gets adjusted for another. 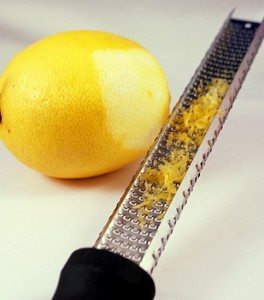 A great example of that is the Microplane grater – created by the Grace brothers in 1990 as a woodworking tool. 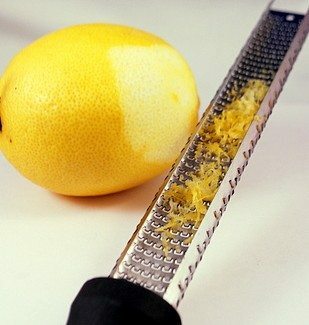 Cut to a few years later when a home cook in Canada raided her husband’s toolbox for something to use to zest an orange. Voila! A must-have kitchen tool was born. So, I suppose nothing breeds innovation quite like our desire not to run out to the store for chocolate (or a new zester) or to take 3 dozen photos of ourselves until one is kinda perfect.